The older Hueneme Bay Market Center in Oxnard, CA is getting a face-lift with a new retail development housing premiere retail stores such as Smart and Final supermarket, Starworld.us as well as fitness gym L.A. Fitness. All happening on the corner of Ventura Rd. and Channel Islands Blvd. This is one of several major developments happening in our community and making a great impact on the value of Real Estate. 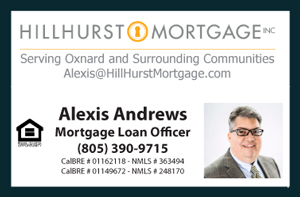 The new development is almost at the border line between the city of Oxnard and Port Hueneme, across the street from The Ventura County Naval Base and only a few miles to the beach. The Hueneme Center used to be the old home of K-Mart Stores. It was looking empty and worn out but now it is showing signs of new life. This is great news for the local residents. They are the ones to benefit from such great projects that improve the quality of life.